There is a thin line between athletes and politicians - we know, they are all competitive, though the latter seems to be more imaginary than the former. The two groups however draw extensive inspiration from sources; they both rely intensively on public support. For a politician to assume power they require a decisive public endorsement. On the other hand, an athlete seeks public motivation in order to excel. From here onwards, their similarities are parallel. Politicians seek influence, while sportspersons are after fame and of course a decent reward. Even though politicians search for influence beyond their jurisdiction, sports personalities are driven by the zeal to win. Sport is now a mega buck industry. It is best-suited for managers rather than constant political bickering. Companies risk billions to promote sport. In turn, they seek returns that are only guaranteed by sound management. Sport personalities are super rich but it comes with prudent management styles and commitment. Politics is never a certified profession, though in some nations leaders have declared themselves to be god-sent even when the electorate decides otherwise. Hence it has become a lifelong vocation that has offered influence and clandestine rewards. Alternatively, sport can be a highly rewarding vocation to those accorded the acumen, although it has a limited lifespan. While politicians have spread their tentacles of influence in every sector, sport governing bodies require proficient managers. This draws me to the reason why world sport governing entities have sought to reign in any political influence in managing respective associations. Fifa is straight forward in its consequence if any government, run by legislators interferes in its affiliates. In a bid to extend their sphere of influence, politicians have garnered for sports bodies, especially soccer to have a direct and broad influence to a sport that attracts billions of fans. Remember, politicians are public figures, they are thirsty for attention. And the soccer stage will undoubtedly propel their appeal, hence their spirited efforts to control sporting activities. This then kicks off my debate into the Zimbabwean football fiasco. Nobody underestimates the crippling economic environment that Harare has endured for the past decades. Fortunes have been constricted even for the most innovative entities. Large cooperates have folded. Government has been burdened by piling debt. Expenditure has been over-stretched down to the family cell. Needs are now wants. Entertainment is non-existent, meaning sports are under-funded even from a club level. It is survival of the meanest. Years ago, my father religiously took us for soccer matches. I witnessed first-hand battles between Dynamos, Caps United, Black Rhinos, Black Aces and Wankie soon after independence. Former players such as, Eddie Katsvere, Stanely Ndunduma, Mike Abrahams and Emmanuel Nyahuma will remain footballing heroes in my soccer dictionary. My father was not rich but the prevailing economic milieu enabled the weekend expenditure. I recall vividly Rufaro and Gwanzura stadiums, the two fortresses in Harare. Over the years, the drive to watch local sport has died a natural, painful and slow demise. Alas, people who lack the foresight that has bedevilling our dear country lay the blame on selected individuals. But they rarely question why sports such as boxing has succumbed to low levels after fighters like Proud Chinembiri and Alofonso Zvenyika propelled us to stardom. 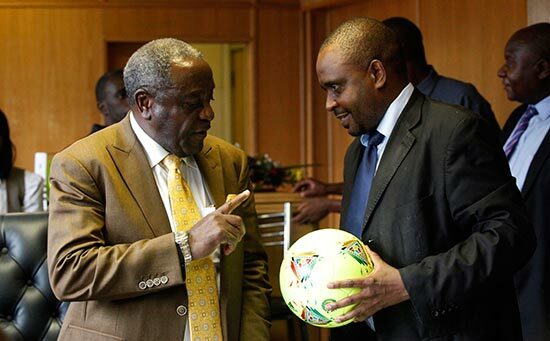 Even the sports ministry is mum on the way forward after boxing leadership resigned in droves sighting lack of funding. News peddlers have been blinkered to such an extent that they convince people that Cuthbert Dube is responsible for Zifa’s recurrent woes. But they fail to tell their readers that even their media houses have been pruned due to dwindling advertising inflows which are the backbone of media and not the so-called scoops. That Dube earned a fortune at his former workplace is not alien in cooperate dictates. Actually, people are now silent on how he transformed the fortunes as his former company when the government was devoid of any turnaround strategies. With the same purse he assisted Zifa when in financial stress. This is also happened when Peter Ndlovu and Benjani Mwaruwari bailed out the traveling squad, even before Dube came into the Zifa spotlight. Our football was in the doldrums before the advent of Dube, when politics sought to annihilate future football advancement in the country. Chemhanza stadium was once a flourishing football stadium in the epoch suburb of St Mary’s in Chitungwiza. Before its human-induced demise, the stadia hosted talent that graced our local football scenery and beyond. With my friends, we risked dodging cars against our mothers’ advice to witness football contestations pitting local clubs. This was the sole township amusement availed for free. For the whole day, we sat glued on terraces experiencing football first-hand. The hot sun never deterred our youthful determination to record every moment. We left before dawn to be greeted with corporal punishment. The following week, we trooped to the stadium again. I still harbour those distant memories. Then some politicians descended. In a flash, we lost a stadium pregnant with history and talent after it was demolished for residential stands. Anonymous administrators pocketed the biggest pay out after parcelling the stands. The biggest loser was football. We have been robbed of future generational talent identification. Chibuku stadium yearns for a facelift. The ground is in a sorry state except when a political gathering is imminent. Those who witnessed enduring football battles in the ground will cry at the pitiable state of the once indomitable home of soccer. That’s not all. Some people have seen the logic to replace football developments pitches with car parks to earn youths income, substituting soccer as an afterthought in the name of employment creation. Football matters aside. Chitungwiza Town Council is laden with mounting debt. For 22 months, they have failed to pay their workforce. Harare and Mutare are following the demoralising trend. Salaries have become alien. Workers survive by grace. With his scenario, who cares about a dilapidated Chibuku Stadium? Water woes are worsening daily in most towns. And we wonder why we are perennial failures in gracing Afcon and Fifa competitions. We kick ourselves when we lose to Tanzania. Football success does not come cheap. While we boasted as football powerhouses, fellow countries like Zambia were investing in developmental structures. Their results matured in 2012 during the Afcon tournament. Sport achievement is not gained through the media, it is a lifelong investment. Dube insists he is not going anywhere. And he is spot on. Proponents seeking his demise have been fingered in the Asiagate scandal. Zifa’s insistence to unearth this has not been received well. Among the list of culprits are soccer scribes, administrators, coaches and you guessed well, the politically inclined. It is the same characters who wish to plunder and annihilate our thin strands of remnant pride in the football circles who want Dube to be ousted. The anti Dube leadership crusade cabal suffers from selective memory lapses. For the record, how long did we try to qualify for major tournaments and failed dismally. It was only decades later after constant trial and error that we made a breakthrough. Now, they are giving the Zifa leadership a timeline to bring results. Whose agenda are they serving anyway? Why didn’t the previous leadership build on those past successes? Their selfish wish to have their transgressions substituted so that they continue to pursue selfish agendas. Dube is a proven administrator and his presence is a constant pain to those who hate cooperate standards. Zifa councillors interviewed by a local weekly said Zimbabwe’s poor showing on the football front was due to lack of resources and not Dube’s mismanagement. While other elected to remain anonymous, Owen Chandamale broke the impasse. “We have been receiving calls from some disgraced football administrators who are trying to sway us in their favour. What, however amazes me is what good will these people bring to our game because most of them are well-known crooks whom we kicked out of football for their inefficiencies and fraudulent tendencies. From the above statement, our problem in sport is amplified by candidates seeking a lifelong mandate to instil their selfish agendas. Sadly, these characters are not limited to sports agendas only. It is the same reason we have recycled players who shift their ages every time they are signed by a new club thereby denying budding talent to blossom. However, this did not begin with them. During my sojourn to the Coca cola soccer tournament, I witnessed teachers insisting their players were of the right age group. It did not require medical scans to confirm these lies. Mere eyes could spot the rot. In short, our football cheating commences at school level, then to local clubs headed by administrators and transferred to the political arena. Unsubstantiated claims that Sep Blatter is protecting Dube to garner Zifa’s vote for the impending Fifa election are not only flimsy but childish considering what Blatter has done for African football. His recent support was the recent hosting of the world Cup in South Africa in 2010. Without Blatter, we could have cherished the idea for generations. Before the tournament, Fifa sought a government endorsement to absorb any unforeseen loses that might occur during and after the tournament. If this guarantee is absent, any aspiring hosts can kiss the tournament goodbye. Does this ring a bell? Our local clubs are facing an advanced stage of decay. Dynamos are not going to the Champions league due to limited funding. Their former football greats are a basket case devoid of pensions to fall on. Caps United is a dead wood of its former green, mean machine. Locally, they have been pruned to shrubs or useless twigs. Mhangura town is a ghost of its former glory days when football attracted and united people. The glory is all but evaporated. Fans now prefer foreign leagues. Though the PSL has been blessed with sponsors, the largest chunk is concentrated in the elite tier. It rarely trickles to minor clubs. The pickings are insignificants for the mounting operational overheads. And soon we will bid a farewell to more clubs, just like we did to our beloved Chemhanza. When my father finally passed on, he had lost the zeal for his favourite club. This was after contesting executives threatened to tear each other whilst contesting for leadership posts. Burdened with all these national predicaments, some sections remain convinced Dube is the sole perpetrator of Zimbabwe’s football decadence. If that is the case, then comedy and circus has more but dormant aspirants in Harare.